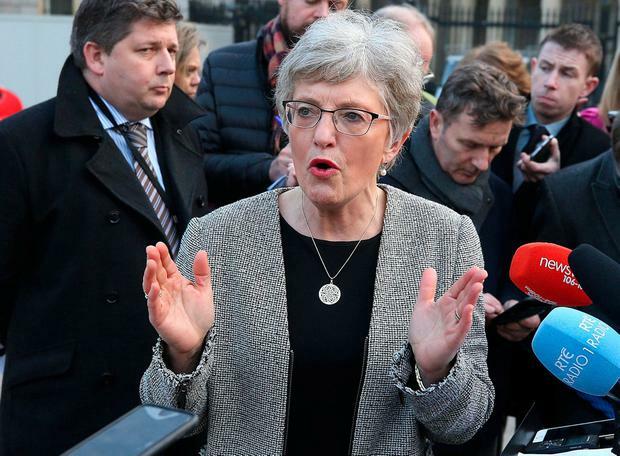 Children's Minister Katherine Zappone has put pressure on Taoiseach Enda Kenny ahead of today's much-anticipated White House visit, saying he has a "moral obligation" to raise the issue of immigration. Writing in today's Irish Independent, Ms Zappone said Irish people have sought to welcome migrants to our shores. "Indeed it could be argued that St Patrick remains the most famous migrant of all," Ms Zappone said. But in a clear reference to today's visit to the Oval Office, the Dublin South-West TD said Ireland must at all times promote freedom. "There is a moral obligation on all those who hold the public trust and serve in positions of democratic leadership to affirm in our actions and our words, our commitment to the universality, indivisibility and interrelatedness of all human rights, to accountability for human rights violations and abuses, and to the protection of those who are most vulnerable and marginalised," Ms Zappone said. The Independent TD made the remarks in Boston, where she is attending the St Patrick's Day festivities. In recent weeks, she has been vocal in her criticism of Mr Trump's immigration ban. Ms Zappone referred to the fact her father fought in the US army during World War II. "I am very proud of the fact that he and his fellow veterans did not fight solely to make America great, they fought thousands of miles from their homes because liberty, diversity and democracy had to be protected," she said. On the issue of Brexit, Ms Zappone said challenges lie ahead. "If it fails to reflect on these developments, the EU itself is in danger of feeding into the rise of populism and the retrenchment across Europe, which may eventually result in the demise of the EU. "At events to mark St Patrick's Day on both sides of the Atlantic, Ireland and its representatives have an opportunity to promote freedom in all its forms - it's a message which many will be grateful to hear."